Developing an iOS Application with Xamarin.iOS is a great task, which is no-doubt a fast, convenient, and fun experience too. Likewise, it deploying this app is also a amazing experineg. Expect that pop-up notifications that occurs at the run time of the app and creates an annoyingness in its behavior every time a user run the application, by forcing them to accept it. 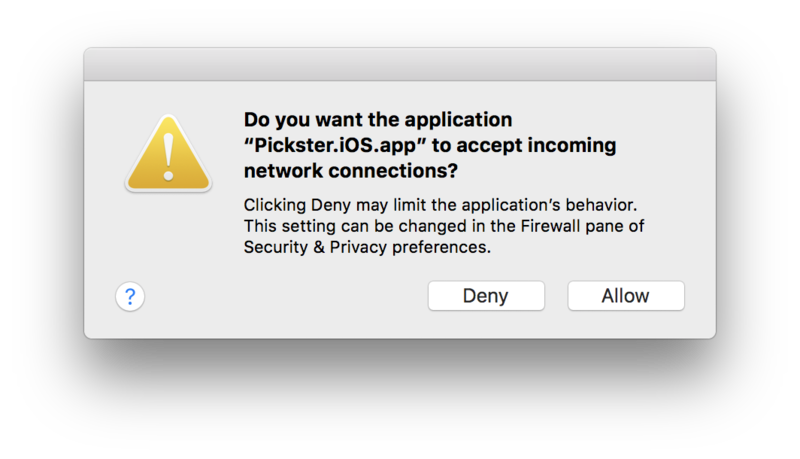 Most of the time the users file a complaint to the developer to stop such irritating pop-up windows on the app in a way to deliver the better user experience. Well, as a solution to this, a developer need to this short lenght coding script into thei app code base, this script will be helpful to stop the annoying pop-up window. Adding the script is not just enough to debug it to get better performance result, a developer must have to learn the exact usage of the script. This command will give permission a user to execute the code file in your application. For the final step, just drag and drop the scripted file into the terminal and hit enter to run it. While doing this, you will be requested to enter your system password here just for once to access the code.